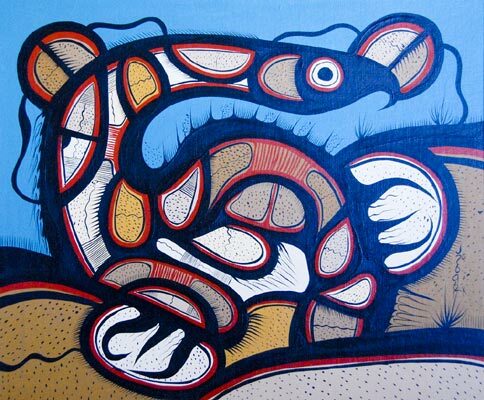 Description: "Loon" is signed in Cree syllabics Joshim Kakegamic, acrylic on canvas 20"x24", comes professionally framed, circa ' 75. Joshim's original work is hard to find. Rare.